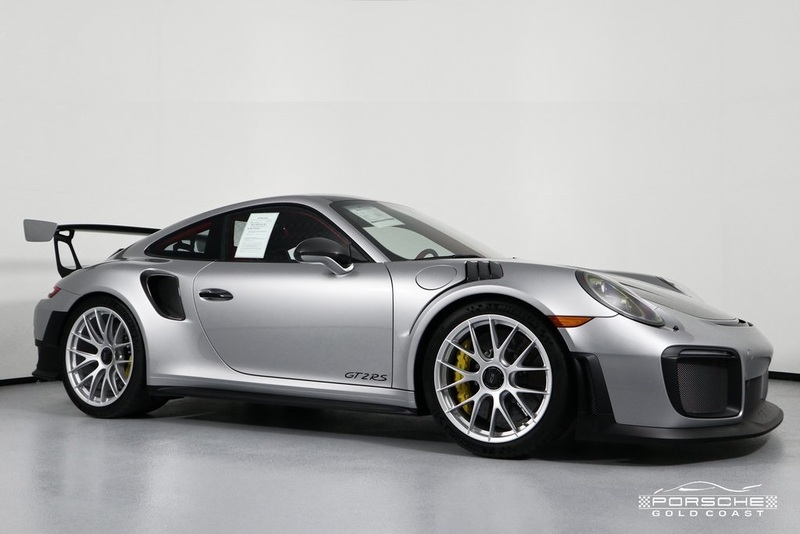 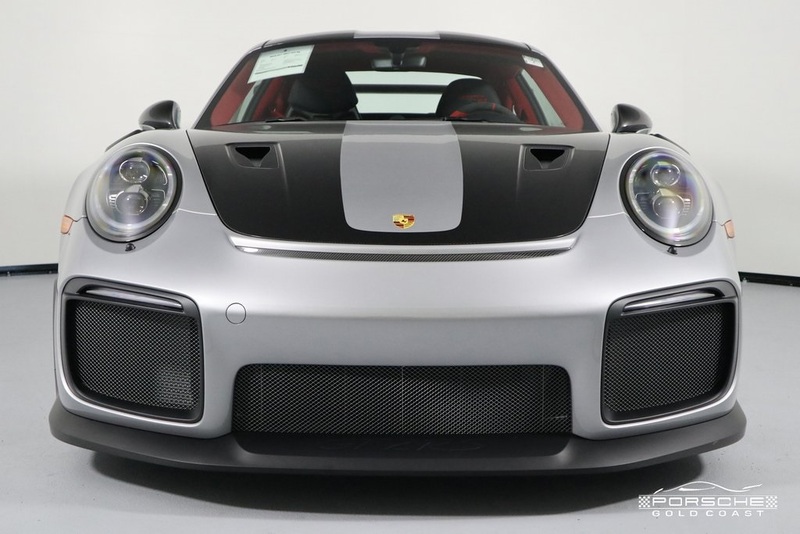 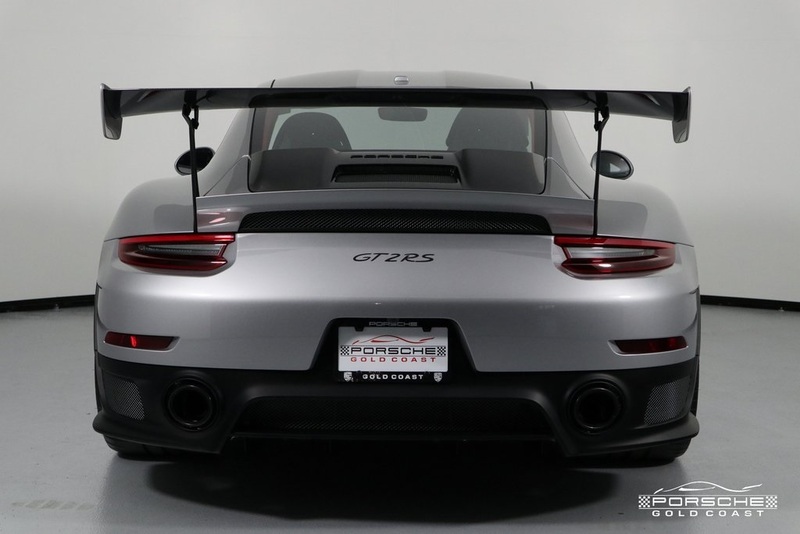 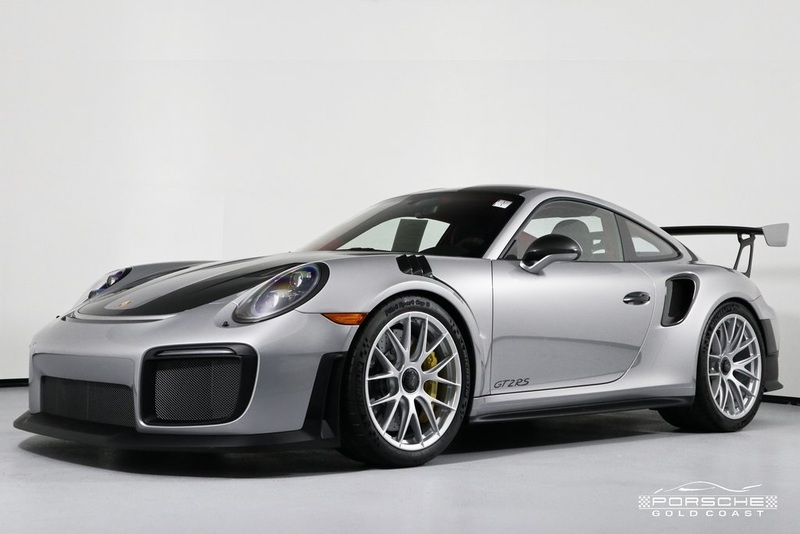 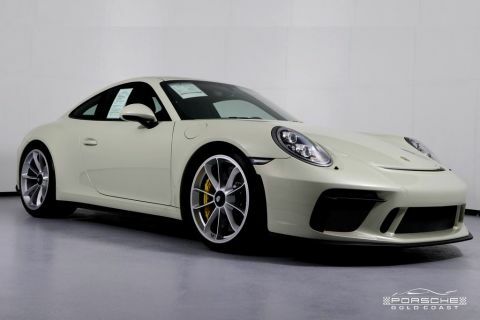 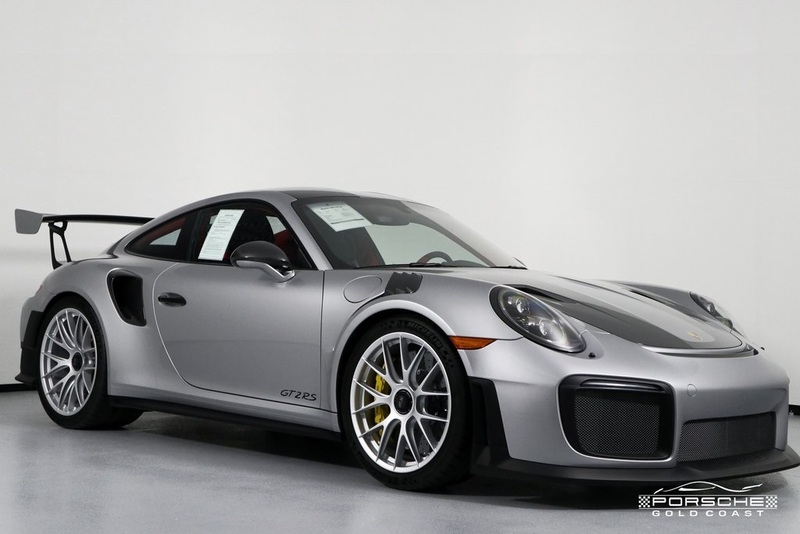 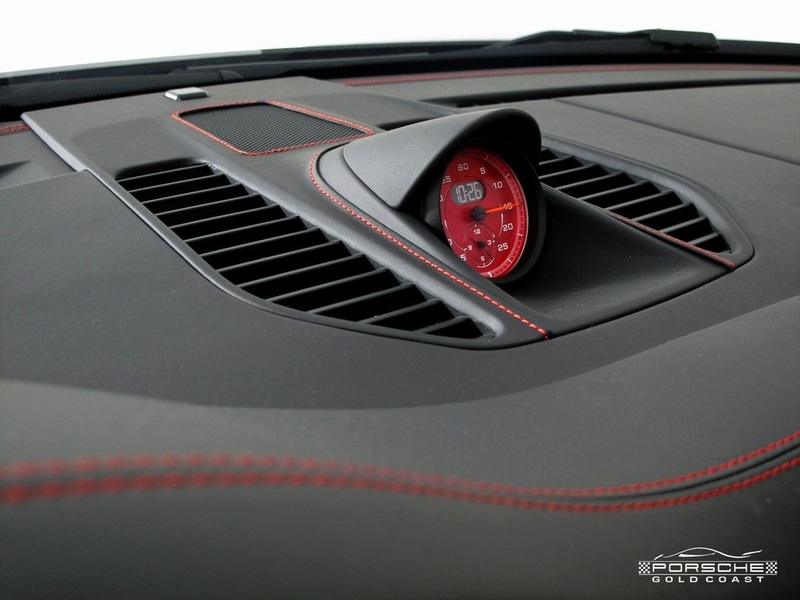 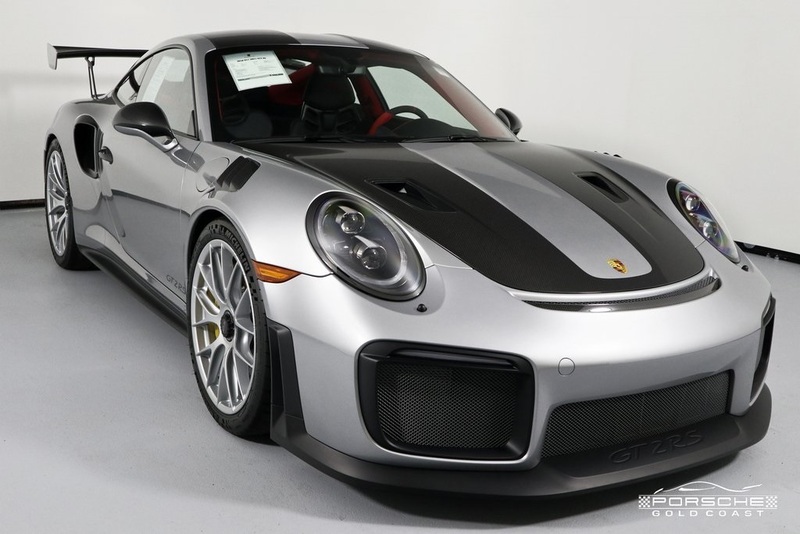 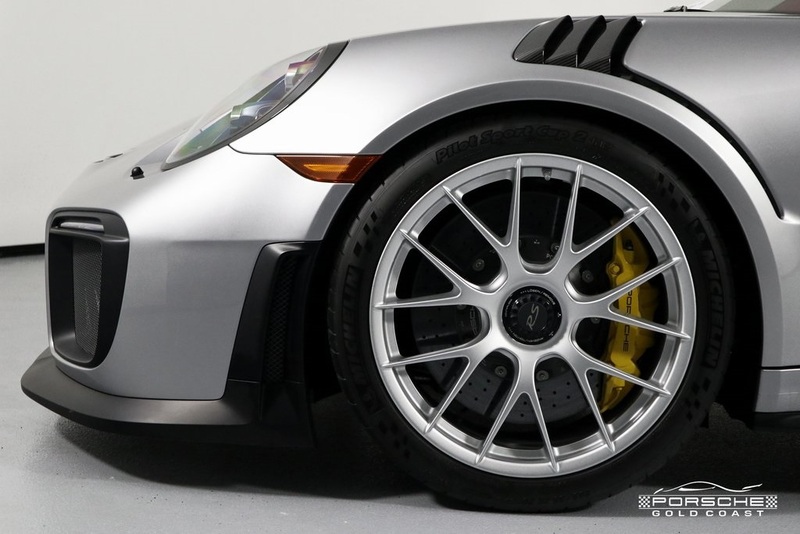 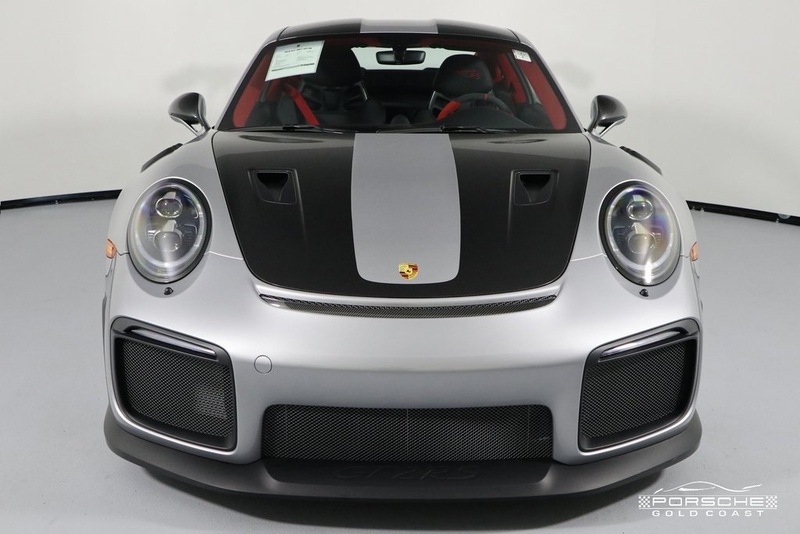 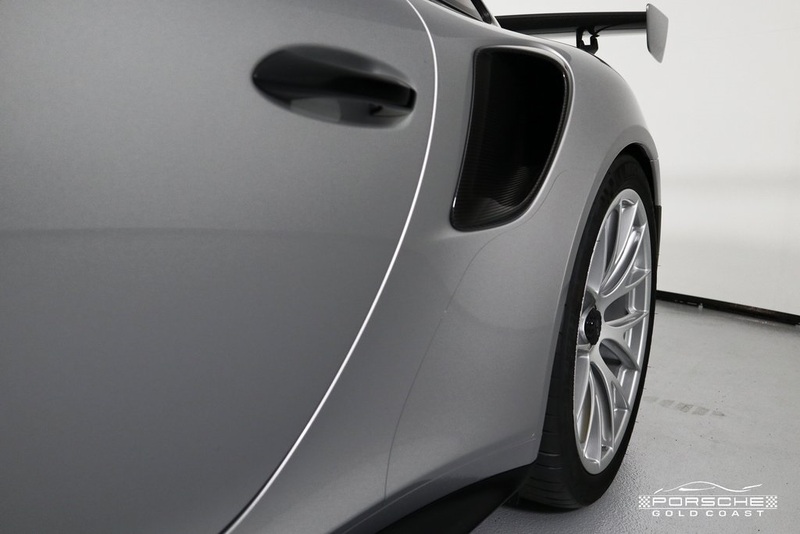 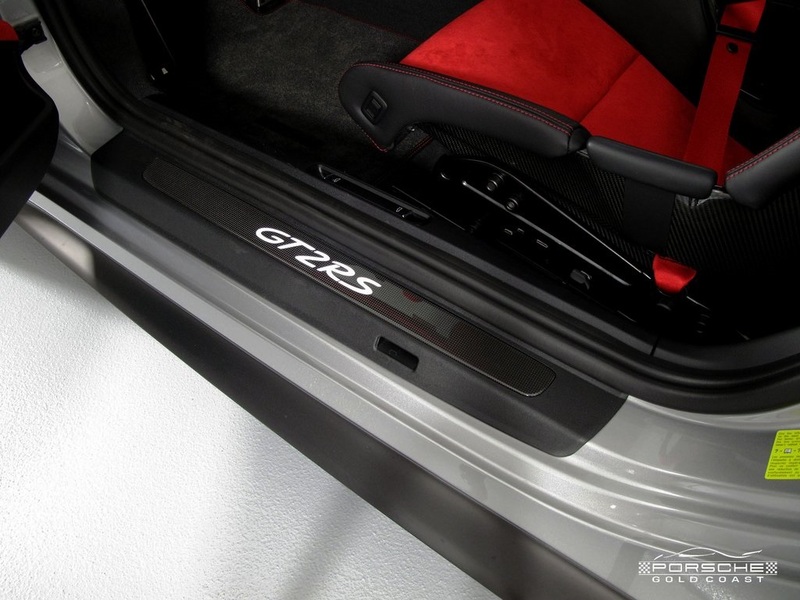 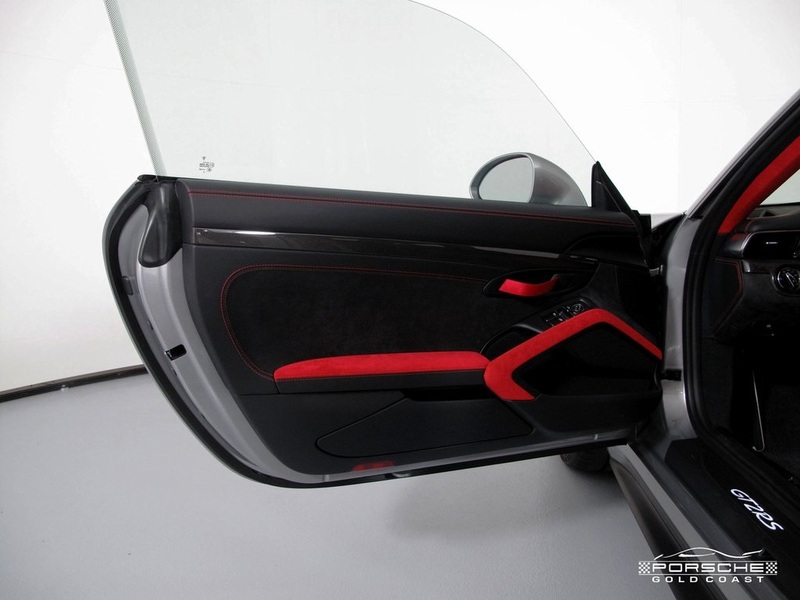 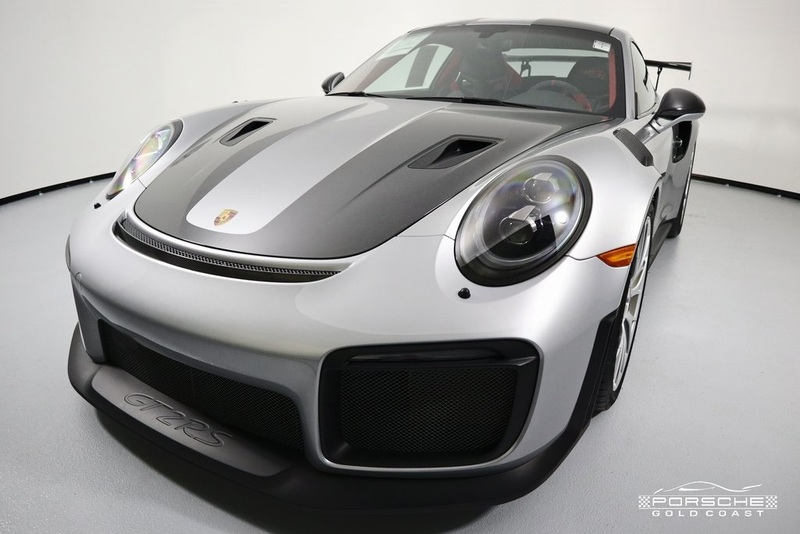 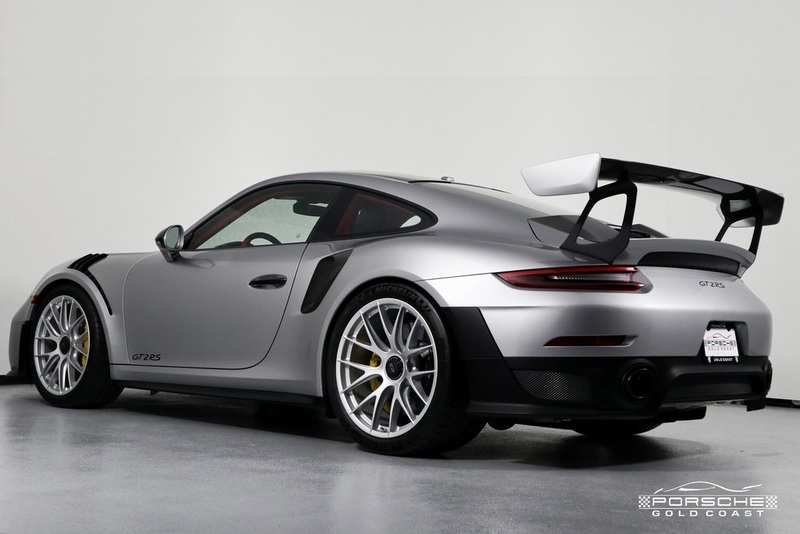 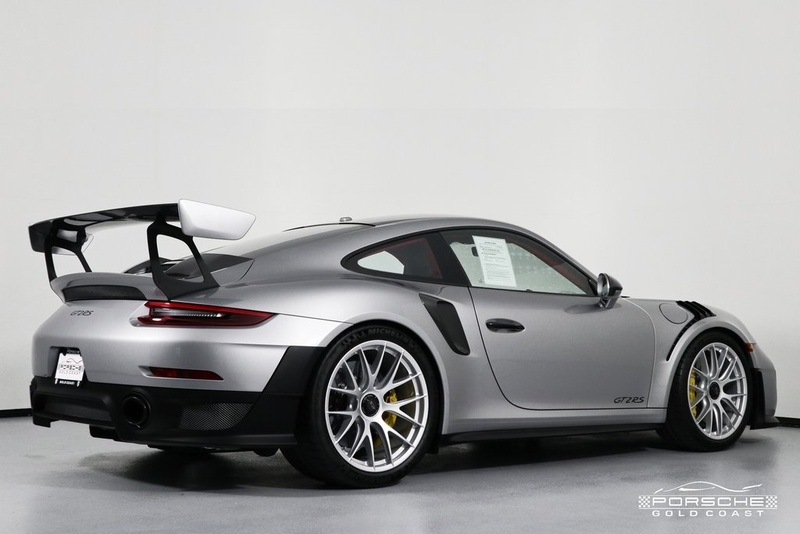 2018 Fully Loaded GT2 RS GT Silver with two-tone Black/Red Alcantera interior. 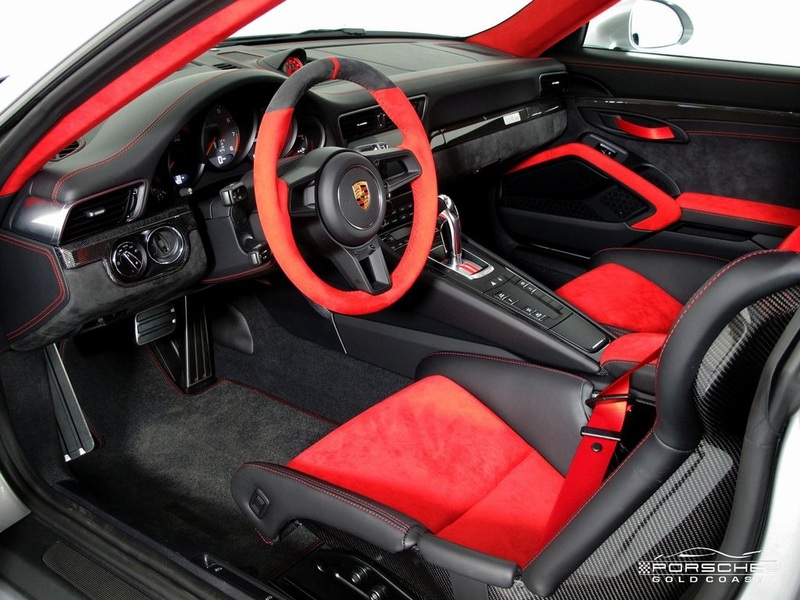 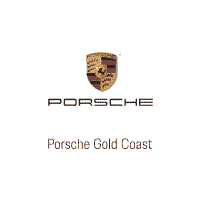 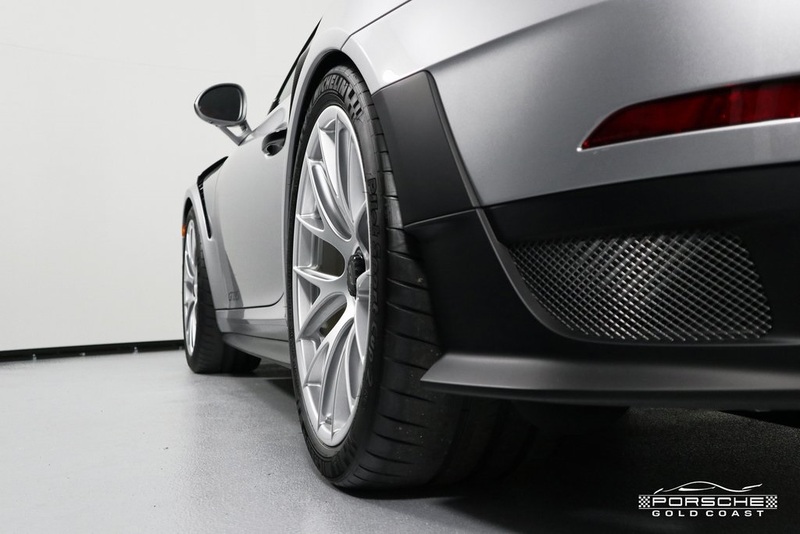 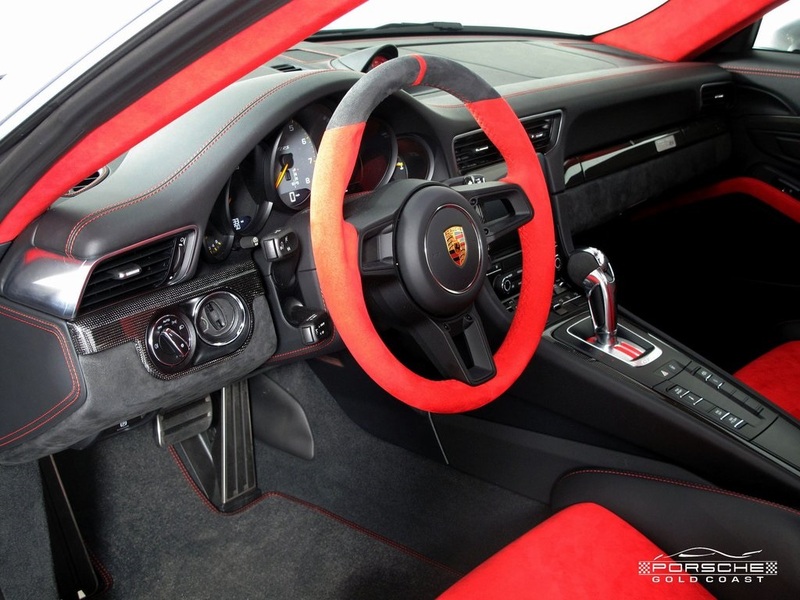 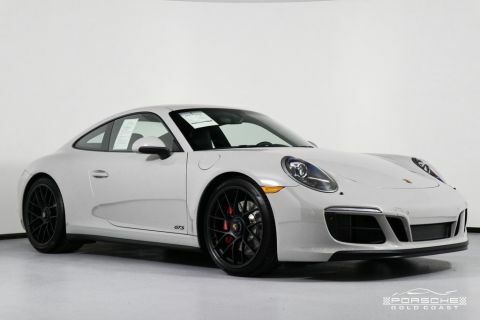 7-Speed PDK Transmission. 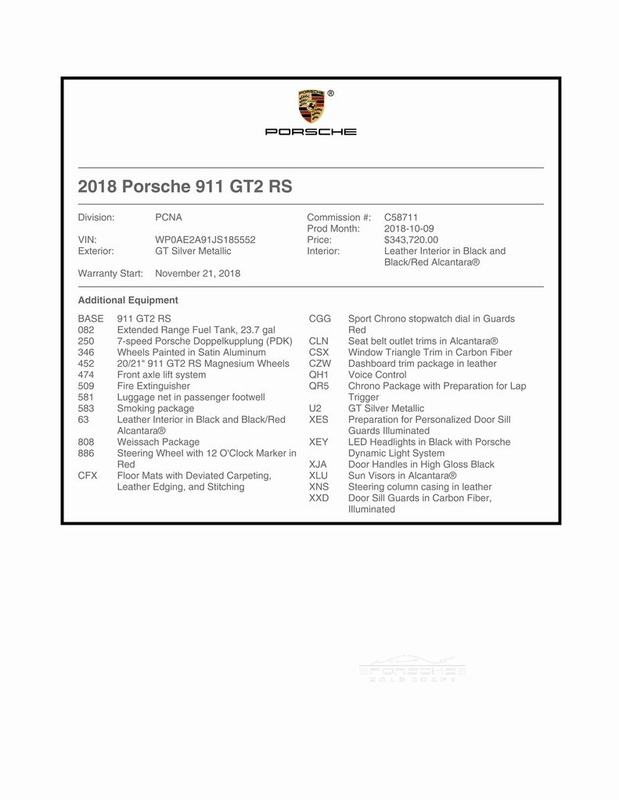 Original MSRP was $344,000. 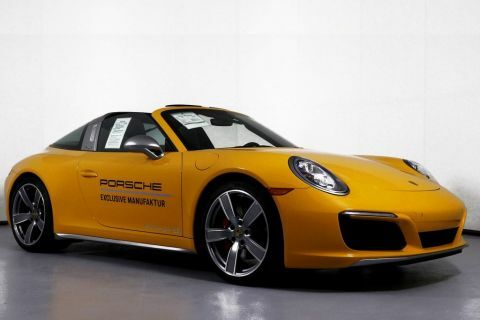 Remainder of factory warranty until November 21, 2022 or up to 50,000 miles.